1. What is the Construction Quality of the house & what will be its condition after decades ? Another thing which happens is when a person gets a house in possession the house is all well-built, its shining and everything looks perfect. But is a healthy looking person also with high stamina? Can we judge a houses’ stamina and internal strength on how it looks, how jazzy its tiles are and what a wonderful balcony it has? No! . We really need a long time like 30-40 yrs to really have a good insight in how strong a house is. Anything will last first 10-20 yrs . Here is a video which shows how a real estate buyer got his Flat in bad condition from one of the most reputed Builder and not at all in what they were promised . Looking at the video , I don’t think the house will last for more than 30 yrs . 2. Where are you going to be there after 20-30 yrs ? what are your future plans ? Most of the people keep changing our jobs in starting of their career . An average situation would be that a person changes his job in atleast 3-4 yrs (in the software industry at least). But at the time of buying a property, a lot of people do not think much about this. They make believe that this, is the final job or at least a “long-term job”. Then, once they buy the house, they are almost stuck (Link) . Not just from career viewpoint, you also have to think about retirement and the post 50+ age point of view . If you are age 30 today, are you going to work for 30 yrs in Bangalore/Delhi/Mumbai etc and then live in same city to enjoy your retirement? 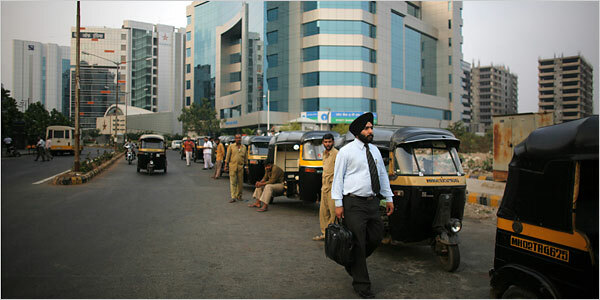 Do you think your retirement life would be wonderful in City of Mumbai or Bangalore? If yes , then go ahead. But personally I think I will be working in a bigger city and then post retirement. I would like to settle in a smaller city or may be my home town. So if you also think that come coastal region or some smaller town or home town village is your post retirement destination, then not buying a house can be your choice. 3. Compromise on Living style and Mental Fear ? Not able to take high risk and satisfying job in life because of the commitment , One reader who owns a company told me that a lot of talented people do not join his company even though they have better work and opportunity to do what they truely love , just because of the uncertainty a startup brings with itself . A lot of people take more risk than they can handle and it leads to traumatized life , which effect health, Strainful life at Home, unejoyable life for many . Though on extreme end, but some cases might also end in Death . Pune: A 31-year-old man allegedly committed suicide by hanging himself from a ceiling fan at his residence in Indrayaninagar in Bhosari. The incident came to light only on Wednesday morning.The Bhosari police have identified the deceased as Piyush,alias Kishore Muralidhar Mahajan,of Indrayaninagar,Bhosari. The Bhosari police said that Mahajan had been disturbed ever since he had lost his job. He was finding it difficult to pay the monthly instalments for the flat he had recently bought.The police have recovered a suicide note which said he was committing suicide because no one was coming forward to help through his bad times, the police said. How to Save if you are living on Rent ? Incase you are not planning to buy the house, you can always invest the money in a way that you can buy it later after some year or at the time of retirement. Long term returns from real-estate have been in range of 10-12%, but even if we take it to be 12-15% , We can invest our money in some equity which can deliver similar returns . You can put money in ETF’s or Index Funds and let your money grow overtime and buy real estate at some later point . As I said previously, it’s not a buying vs renting debate. It’s all about thinking well in advance about your decision and knowing all the aspects of buying a house. If you are clear about all the points mentioned , then you can go ahead and buy anything. Nice and informative … but as you mentioned above”Max life of a builder constructed flat in gated township is not more than 50 years” so whats after that? Suppose: Bunch of high rises with 20+ floors in each building … Will resident of each flat on each floor in each building get the “UNDIVIDED SHARE OF LAND” or not? If yes, it is from the full project plan area (like total area of society divided by no of flat owners)? or just area of building divided by the resident of same building? I am 31 now, when i was in mid 20’s what i did is I bought a two plots for less than 10lakhs, thinking that i will sell one and constcut later. After few years i started saving for my retirment like PPF, Equity, Gold, LIC and also i am enjoying life as well like staying close to office(renting), spending for things which i need. By taking home loan our money will never grow. I have come to this site first time, and i must thank you after reading this article. Some people have commented about “its not just property, its about being roof on your head”. My point is that if i am from a small town and not sure of spending my whole life in the metro city where i am doing job right now, then why should i take risk and turn my life into hell? . Rented house is also roof on the head only, and in case something happens to you then your dependents can go back to native place. Yes, I agree that home is must in cases where you don’t have even ancestral home also. Things have changed a lot in this industry post 2003. All of your points are valid especially point number 1 and 2. There started an era in the IT industry when every fresher into this industry was(is) drawing a salary in such figures when he himself/herself don’t understand value of it. Sorry, that it might hurts few people but that’s a fact. I was also not a exception(for some time) for that but somehow I didn’t jump into it. Having our own home is a great pleasure which is very much true. But people have mess up this industry by process of over-buying. I have few friends who already bought 2 homes and seeking for 3rd(off course by way of leveraging). The important point is valuation of something. If one earns 1 lacs that does not mean some property of 50 lacs is correctly valuated. No body wants to think about find correct valuation of it. Off course there is a universal formula of demand and supply which drives this valuation but in current situation, everyone please think again. Do you still believe that 40 lacs,50 lacs homes are not overpriced by builders(and politicians behind the scene) . Home is the only thing which is important in life that people put in such hefty amount for it. There are plenty other important things in life. In pune, there is one very big project called Lavasa. There is one report recently came in which they explained about BIG massacre behind it. How they are killing the nature like anything. so much of land has been acquired from the local farmers at ridiculous low price, many of them haven’t received full payment yet. All big name politicians are behind it from Maharashtra. One of the reason is us. We are ready to pay such heavy prices and they make this business of playing with nature. We gonna pay for it in near future. I can only pray to GOD. thanks Manish for bringing this topic in front of us. You are doing really great great work. God bless you! One of the toughest things in life..to buy a house. Most of the people believe that if they have property they have invested their money wisely. Its not that simple with real estate we all know that, to assess the quality of construction is very difficult. Thats what matters most for future value. Sometimes it feels as if our grandparents and parents were lucky. Houses built by grandpa are still healthy besides when you get there it feels like home. Yea , Agree with most of your points . Do you feel having a land and building a house in a smaller city and renting a place at a bigger city is a better idea ? Exactly. That depends a lot on when one plans to retire. If retirement from job is planned early it will work, but if I plan to stay in a metro till 60 then its not a good idea, rents will eat up significant part of earnings. Well said Manish, I completely agree to your viewpoint. People don’t realize these points when they buy a luxury flat in a city. They get wooed by the offer of temprature controlled swimming pool, Jacuzzy, high security etc. Do we really enjoy those amenities on a day to day basis? See how india’s well known and so called reputed builder kept his promise. A flat has no value after 15-20 yrs, ironically that will be the time when you would really want to live in your flat relaxed and peacefully, because by that time your 15-20year home loan would have ended. Now you start another freah loan,15-20 Lakhs for refurbushing and reinstating the glory or pride you once had with the flat. 🙂 Isn’t it ironic & sad. We are already experiencing the bitter facts that isn’t offing, like for example my water bill in summer is more than the petrol bill. When we live or make cities our permanent dwelling we also pay high for the innumurous civic issues & our day to day basic needs. All the cities offer high cost of living, water scarcity, food inflation. This would get worse in the coming years. I agree to Manish, if you want to live peacefully & tension free post your 40, go to your home town buy a small house with little land where you can get enough water from your own well and small kitchen garden where you can grow some vegetables , a mangoe tree from which you can pluck some mangoes in summer or may be you can hang a swing & enjoy reading news paper there or may be your kids can climb on those trees & play….as the way you did when you were a kid :). World will be so nice..no tension..like the popular advt..NO chinta but peace!! Great to hear your views 🙂 . I agree . So what are your plans after 40 🙂 , which city are you in ? I just want to go back to root level – agriculture. Do something to revive farming and make it a equally or even more exciting and rewarding career than a corporate job. Our country needs to be self sufficient or rather surplus in food, but these days neither the government nor the people are caring about it. There is no 2nd Green Revolution The mad race of real estate and industrialization at the expense of our basic need-food worries me. If you are thinking about investment and some returns why don’t you consider farming, an acre of land with adequate cultivation can definitely give you atleast the food stock for a year or the money to buy that above all that you get the sense of gratification. The feeling of being in harmony with mother nature. Rather than butchering her with high rise concrete towers & disturbing the balance in ecosystem. The Government encourages farming and give loans also at subsidised interests as low as 6%. Why doesn’t we youngster’s never bother about it? May be I am taking this discussion to a different context…Manish, I appreciate your work to educate others on financial aspects through this forum. The best thing I noticed is that your views are unbiased & uncomplicated very much from the heart & with a noble intention. You are also able to come up with topics which are very relavant and useful guidance for youngsters. Keep up the good work!! I live in hyderabad. But I hail from, God’s own country-kerala. Great views from your side . I am myself a nature lover and very interested in Agriculture especially vegitable farming and have done some in my life . But because of “earning-money” , we have to work in corporate and hence cut-of from what we like . Would like to go back to that and do something in later part of my life . I think Agriculture sector is going to be the next big thing is next 1-2 decades , I am saying this from pure investment point of view . Exactly!! I definitely see great future for agriculture or business related to Food, processing etc in the coming decade. Just came across this article in TOI today, indication of a paradigm shift- how the story of farmers will change in the years to come. Ankapur (Nizamabad): Vegetable farming and showy chandeliers go hand in hand in Ankapur village of Nizamabad district, as do snazzy cars. A look at the luxurious mansions and imposing houses of 270-odd Reddy farmer families in this village off Nizamabad-Armoor highway would leave you spellbound. The village in Armoor mandal bears testimony to the success of the farmers who have turned cultivation of vegetables and commercial crops like turmeric and red jowar into a lucrative proposition. Take Pydi Rakesh Reddy’s sprawling bungalow for instance. Spread over an acre of land and sitting right next to an agriculture field, a beckoning patio, stylish wooden doors, plush interiors, manicured lawns, carved antique statues would make you feel like you are sitting in a Jubilee Hills villa. Not only is Ankapur (a population of 5,000) dotted with opulent buildings, but is also home to fast cars like Ford Endeavours/Fiestas, Toyota Fortuners, Skoda Lauras, Tata Manzas and Maruti Swifts. It’s turbo-charged growth as more and more lakhpathis are sprouting out of farming in villages like Ankapur, Fatehpur, Manthani, Pipri, Subriyal and Matcharla (Armoor), Anksapur (Velpoor), Dumchanda and Gummriyal in Morthad mandals. It’s an economic windfall coupled with robust marketing strategy and entrepreneurial zeal that has helped the farmers (there are sizeable Munnuru Kapu ryots also) reap it rich. Baddam Sai Reddy made a fortune of Rs 1 crore out of turmeric. So much so, he’s now known as ‘Bangaru’ Sai Reddy in the village. He earned Rs 2 lakh profit on each acre (he had sown turmeric in 50 acres) of the crop. Vegetables are grown in 6,000-7,000 hectares in the district. But the Reddy farmers go for sowing of tomato, onion, ginger, brinjal and beans as they command a better price in the market and offer them huge returns. C Ganga Reddy of Pipri invested Rs 20,000 on an acre of tomato crop. “I made a cool Rs 1 lakh,” he gushes with a broad smile. Several farmers have invested Rs 70,000-80,000 on an acre of turmeric and earned profits of Rs 2.5 lakh-3 lakh. “The farmers in these parts are clever and market-driven. Tomato crop is sown in more acreage in summer so as to rake in more moolah as Nizamabad market is closer to Hyderabad and Nagpur in Maharashtra,” R Sivanand, agriculture officer, Armoor, reveals. For the record, AP depends heavily on Madanapalle tomato for a major part of the year. But how did this booming turnaround come about? Proximity to market yards, fertilization of land, abundant water sources and market-oriented cropping patterns have made the ryots wealthy in the last 10-15 years. “Tomato grown in 500 acres gives a good yield of 25-30 quintals. But we always go by market studies and follow seed cropping,” says Bajanna Reddy of Reddy Ryothu Sangham, who exports the crop to Sangli market in Maharashtra. As higher returns/savings and better productivity that in turn created an even more vibrant consumer culture and boosted investment, the rich farmers now send their sons for higher studies abroad and invest in land/gold buying. “They have formed community-based societies to discuss cropping patterns. They are always on the lookout for financially viable options,” M Ashok Kumar, assistant director, horticulture, says. Corroborating this, Jeevan Kumar, who runs a fertilizer shop in Ankapur, says the farmers are depending more and more on organic fertilizers and manure to protect their farm lands. While Ankapur has a lot going for it, it’s hard to ignore the same sort of problems that afflict the farmers even at the height of farm boom. A small ryot tried to end his life the other day, distraught over the loss of his maize crop. Nice article. All the critical & unique points very well explained. Apart from quality most of citizen needs affordable accommodation. Buying a house and renting it will be beneficial if you are not living in it. The owner will also get tax benefits. You are correct , but dont ignore the emotional satsfation of owning the house, the post is all about provoking the thoughts and then taking decision . Pls do not discourage house buyers.. Noone has seen 50 years fm now.. A home buying – whether to stay or for investment is planned for next 15 years.. construction quality matters.. as far as investment goes, real estate as investment is very illiquid and doesnt fluctuate like equity.. but offers good steady returns.. yes, it is not to make quick buck..
And if buying for own stay, then the consideration has to be convinience and locality besides the price.. if buying on loan, then not to go overboard in terms of price /amt of loan as the house of self occupation is not asset but liability if its on loan.. I am not as good as you for articulating and leave it to you to explain this to your readers.. But pls give proper persepective.. Thanks for your views . I am actually not clear on what point you think is not correct ? can you put that again please ? Also the post is not about discouragement to anyone , its more about putting points which you have to think about before buying and if you are ok with those then one should buy it . And as you said , Real estate is planned for next 15 yrs , that is what I am trying to point , and its wrong , you can pay 50-60 lacs for house and then just think about just 15 yrs, you have to go beyond 15 yrs and take everything into consideration else its a expensive decision , much much more than what you pay in rent, What are your thoughts . would like to know what all documents one should see & verify before purchasing land… is form 143 sufficient for the same or should one go and see khasra/khatauni/barasala etc. Thats something which I would not be able to answer , It can be answered by some one who has done that ? This is one of the finest article I have seen on Jagoinvestor. Well post Manish! Thanks , what part did you like so much ? are u saying part…? I am saying the whole article is truthful. I stumbled on jagoinvestor today for the first time. And due to articles like this one and some others, it’s gonna be a favorite bookmark of mine. The comments in this article from everyone who has participated have been especially good. Great post.That makes one think in right direction and also to look at the points mentioned before making that ‘buy’ decision. I feel one should not look at property as an investment for long term. There are other avenues available for that. If one foresee a sharp rise in property prices in a particular area (in some case to the tune of 50% in 2-3 yrs) then only one should buy property as an investment. But i feel better to steer clear from buying a flat for acheiving long term returns. As for buying a property for living,its altogather a different situation and if one is having money in hand,EMI being comfortable,property offering a pleasing living etc one should go about it and not be bothered about returns.It makes sense then. I agree on your point of buying a property for living purpose and not constantly think about returns . Overall buying can be a right thing if a persons expectations are in place and he knows what it will bring in future. What’s the point of taking Home Loan, it that makes difficult to meet your ends every month. Not worth it. Happy living in Rented accommodation; and flexible to move around. For investment, buy some land in Tier-II city(only if you can take care of it)..you’ll reap the benefits 10-years down the line. What you call as flexibility (moving around in rented accomodation) , most of the people call it “tension” 🙂 . It all depends on the perception and what your beliefs are in life . What do you say ? What are your comments on point 1 and 2 ? Excellent post. Being 40 some, working in Pune, these questions always come to my mind. Till now have resisted buying house due to my age and would settle in my native place after 10-15 yrs. Great to hear that . But is renting place is not becoming an issue for you and your family ? I tend to rent longer in the same place. Renting is a bit of issue only when moving to unknown locality. It gives you options of living in good-places within city and work-area. Although can afford house within city, I see no incentive in buying a house when rents are 1/4 of emi. And I haven’t talked about tax exemption on home loans. You are forgeting that its a very big leverage position . Consider the opposite case of prices going down, In that case you make a very very big loss in comparision to Mutual funds . So dont just look at rosy picture , are you ready to face the situation I gave ? Well I have never seen property prices going down for years ( at least last 15 years), There may be 0% growth but never a -ve one. Whereas share market up-n-down cycle is of 4-5 years. All I am saying is in short term it makes more sense to invest in reality if you are eligible for the loan. You might want to explain me that with an example , I am not sure what it means and what we get out of it ? Also the real estate markets might not give negative return , it does not give negatie over a long term , agreed , but it might give single digit return , thats what the bad part is considering people expect more . Remember I am talking about very long term returns , and the last 10 yrs in equity markets have been like 2003-2007 in equity markets , exceptionally best . In 2007 Price of a plot in Sector Alpha or Gamma in Greater Noida went from 22000/sqm to touch a high of 35000/sqm. In 2009 it went down to 18000 – 22000/sqm range and today it is 25000-28000. So you can still be sure that propery prices never go down ? The truth is that people do not sell the property at lower prices than the buying price but if you follow same discipline with any asset class then it is OK even equities will not give -ve returns. My collegue opted for a 3 BHK flat in GN for 55 lacs. He paid token money of 10000 Rs to the broker to block the deal for 2 months in Oct 2008. Then due to some family problems he could not buy the flat and his 10000Rs were forefieted but you know he is a happy man because the same flat today is available at a pricely sum of 38 lacs after seeing a price tag of 33 lacs with no takers. New properties in the area are being offered at 15 – 25 lacs. I donot believe that property prices never comes down. Even I bought a plot in Ludhiana @ 3200/sq yard four years ago (to sell to fund my daughter’s marriage 18 years later) which is now getting qoute at 4800/sq yard but in between the prices in the area have touched 2300 also. So real eastate has become a speculation in India and like any other speculative activity it too has its share of volatility. Thanks for these examples which show that real estate prices are also subject to downfall . But if that is the case, What is the biggest reason people in big cities beleive in the myth of “Real Estate always increases” ? I don’t think the statement “people in big cities believe in the myth of “Real Estate always increases” ” is completely true. I know similar incidents in Hyd as mentioned by Pramod above. Properties which were sold at sold at 60-65 Lakhs 2-3 years before are being offered at 40-45 Lakhs but still no buyers. These days builders are coming up with fancy schemes like entire furniture for the complete house including ACs FREE…or Swift Car free when you buy a flat from them etc :). I know people who bought flats/houses worth 40-45 Lakhs and suddenly their property value becomes 35 Lakhs due to the real estate market crash. The worst part is these people working like a company like Satyam (hope you remember Satyam Scam) and not having any insurance for their home loans. One thing is clear, People these days are showing interest (atleast in Hyd) only in properties which are offered around 20-25 Lakhs. Also, the banks have become stringent with their home loans process. Mark Twain said that start buying land, God has stopped manufacturing it. It hold true particularly to India where population is huge and land scarce. Agreed, buidlings get old and dilapidated in 50 years. But you have alreday recovered the cost that you have paid to buy that house by using it for 50 years. But though the building is old, the land on which it is standing is very much there and its value has increased many folds. In Mumbai ( or elsewhere ) there is a trend that a builder takes an old building for the developement, constructs many flats, gives some of these flats to the those who were having houses in the old building and by selling remianing one he makes profit. Not a bad deal for the occupants who, get a brand new flat for nothing. I still think that real estate is a good invetsment and you shoould have at least one house of your own. The post is more about the questions one need to think about, if after looking at those points , one feels that “buying” is right thing , then one should go ahead. good points by you . Who says land is in short supply in India ? It is kept in short supply in India by the builder politician nexus. Have you ever tried to look at Delhi’s satellite image from Google maps. Mind you 50 % of the land within boundaries of NCR is vacant. The mechanism is – You (Farmers or forest or something else) have land. You want to build a house over that land. Govt will not allow you and will force you to buy some expensive piece of land in an “approved” area. Once all the land is sold then the same land where you or any other ordinary citizen was not allowed to build houses (becuase the land was meant for farming, forest, green belt Archeology blah blah blah) will be captured (aquired) by the govt and will be given to builders by changing status of the land use. Then you will buy the plot at sky high price and new land will freed once all the plots are sold and the cycle goes on. If govt declares its master plan at once and free all the land which is marked for residential use in one go then there will be no shortage and no high prices. BTW All of the population lives on 30% of the land. Rest 70 % is covered by ice, deserts, high mountains etc. Just wait Global warming will ensure that if 10% of the world sinks in water 20 % will become available to mankind as ice shields will go away 🙂 Wait till Unitech starts buying Norway and Siberia. Very rightly said even Mr Deepak Parekh Chairman HDFC Ltd have recently shown concern on similar lines. He is an outspoken critic of the real estate sector, not mincing words when it comes to taking on the developer-politician nexus or archaic laws that create artificial land scarcity. I believe at some point you should have a place of your own…renting and moving from place to place is not fun. “Why owning a home may not make economic sense” is the punch line ? Did you mean to point to that . Most of the people buy fancy flats with all amenities but hardly use them , in that case what you say makes sense , can you give the examples of the places which you are talking about in comment ? A nice post. I understand and agree for bias towards investing in equities rather than buying a property when rational arguments are the basis of making choice. However, reason gives way to emotion at times and that is not a bad deal if it gives you peace of mind and a good night’s sleep. Please ask anyone in Mumbai who is living in rented accommodation and facing hanging sword of lease expiring every 11 months. It is not very convenient to be in rented accommodation when the prices are steadily getting out of reach. 1) Age of property – I think old property is rather good, like a good old scotch!!. I have seen more than one example of my relatives where 50 to 70 year old property bought by some builder for redevelopment and they benefited handsomely, getting brand new and bigger property thus ensuring another run for next 50 to 70 years. If a person buys property in his late twenties or early thirties, a time period of 50 years ensure roof over his head for his life time which can be passed on to next generation to do what they deem fit at that time. I do not think there is need to think beyond this time frame. 2) Life after 20 years – It is really impossible to predict where I will be after 20 years. But, I know what I need today. So, unless I am very clear about changing the location in foreseeable future of say 2- 3 years, I need to take care of my need today and deal with situation when it changes. I could also present a counter argument – what is gurantee that I will be alive tomorrow. I would rather buy house with home loan (which can be comfortably serviced from my current income), cover that loan with insurance and ensure that I am not leaving my wife (who is housewife and not much inclined towards matters financial) and kids at the mercy of house owners or making them dependent on stock market, which they do not understand, for making enough to buy house. A home of their own would be great relief if I am no more. 3) Compromise on living style and mental fear – Over-commitment is due to ignorance. In any situation in life, a person needs to remain within limits. So, that is not the basis for decision related to buying or renting of property. On the contrary, number of people making mistakes and making significant losses in equity markets are more than those facing the same in property related matters. If a person does not have head for money matters then buying property would be relatively better for that person compared to equity investing. Any ways, it is long comment but I enjoyed writing this. Again, it was a thought provoking post from you. Keep it up!! 1. Buying a property which does not come from reputed builder and hence will not be on the soil after 30-40 yrs for sure . These are cheap homes some times and people without doing detailed investigastion , buy these. 2. There are many who are not ready to be in their current jobs/sector and want to do something totally different , may be in some smaller town , their home town , but commit to home loan , i agree that they can sell it off later , but even not buying a home can be an option , they never compare the two scenarios and come to the conclusion , they always act as if there is just one way and that “buy house” . 3. There are many readers on this blog alone who have acknowledged that their life style and living condition has come down just because of home loans , and they might have avoided the situation had they “sit and thought” about it . Overall your points are correct , but we are mixing things I guess . Good contributions from your side 🙂 . you are right. I did mix-up things while writing those comments. I agree with you that there are many people who buy house without much thinking. Your article rightly points out few things which even an otherwise careful person would miss. My comments were from view point of a person who weighs risks sensibly and makes informed decision. Moreover, I do not consider property as an investment. I consider buying property to get that roof over head. A house of own gives great relief if life takes nasty turn. Hence, I always think that if a peron is in position to afford a hosue (after giving due consideration to risks to his income, rising EMI in future etc), he should buy a house. Earlier that is done in life, better. Also, I have a word of caution for people who think that they will buy house in small town after 20 years at retirement. A lot of things could go wrong in between period. That small town property could appreciate better than your PPF account. Your favorite shares could surprise you by losing 90%. You could simply start living better life with that 40″ LCD TV and that fancy car without realising that you are falling behind in saving for buying that house. There could be many other things. So, why wait? These are some of my thoughts. Of course, a lot depends on individual circumstances and I fully respect difference of opinion. “I do not consider property as an investment.” . I agree , people consider Real estate as an Investment asset , which is true only in short term , but not at all in long term , its more of a saving asset only , the last 10 yrs in India has made a big wrong impression among indians that real estate is the best investment . Property as an investment is very popular. Initially, around 2003, there was solid good rational for buying property. Prices were reasonable, credit was cheap (8% fixed rate for 15 years!!) and affordability was increasing with average salaries going up. None of these reasons are valid today and still prices are going up. That is happening mainly beacuse of some another set of reasons – lot of foreign money coming into country (USD 11 billion in stock market alone in this calander year and add other direct investments in businesses), Government is following inflationary policies by printing money at the rate of 18% to 20% per year and aggresive credit growth by banks. However, the reasons for boom in years 2003 were fundamentally sound whereas reasons of boom in 2010 are very speculative. (When I see banks announcing “fixed” loan rate of 8.5% for first two years, I start having doubts whether RBI has learnt anything from US crisis.) Anyway, an average person does not look into much detail. Psycologically also, if a trend is in place for long time, it solidifies belief that the trend is here to stay. That is the reason for the statements that property prices never come down. Unfortunately, the reasons for current boom in property prices look set to continue for quite some time as underlying reasons are still valid. Ultimately, I feel that there will be property mania in our country wherein there will be people who will buy property by taking unaffordable credit due to intense feeling of being left out and peer pressure. And there will be some who will buy multiple properties by taking unaffordable credit due to greed. If that happens, only God can save this country because property bubble is the most dangerous bubble due to involvement of high leverage by ordinary people. RBI needs to impose some prudent norms on banks like dramatically hiking reserve requirements against property lending and imposing pretty high percentage of down payment. Such steps, implemented gradually along with increase in interest rates, can cool down speculation in property before things go totally out of control. I can only hope that RBI is not sleeping at wheel. Though I understand small bit , you still need to explain little more for others some points . 1) How lot of foreign money coming into country results in Real estate going up ? Are you saying that lot of NRI’s or Non-Indian people are investing ? 2) How govt printing money is responsible ? Well……. I do not have commerce / finance back ground. Still, I will attempt to explain it. That will be simplistic, in lay man’s terms as I do not have ability to use correct economic terms. 1) Whenever any US dollar comes in the country, it gets exchanged to Indian rupee first. Basically, some of the rupees in circulation ends up with foreign investor and those US dollar ends up with RBI. This gets reflected in increase in foreign currency reserves of RBI and appreciation in rupee exchange rate. However, it is not just this simple. I understand that, in order to prevent rupee appreciation, RBI prints the rupees, basically create it out of thin air, to absorb this US dollar coming in. This results in more rupees in circulation than before. This additional money supply gets reflected in increased prices, that of vegetables & pulses as well as equity and real estate, to varying degree of course. 2) Government needs to finance its fiscal deficit. If government finances entire fiscal deficit by borrowing, that pushes up interest rates. Hence, may not be entirely feasible. So, to finance some of this deficit, RBI prints money, creating additional rupees out of thin air which is called monetisation or quantitive easing. This is reflected in money supply growth. I understand that average money supply growth in last few years is in the range of 18% to 20% per annum. Basically, citizens of the country collectively held 20% more money every year compared to previous year. This is akin to someone’s salary growing 20% every year. This additional money drives up prices of everything that money can buy to varying degree. Real estate benefits due to this. Nice to hear your views and understanding 🙂 . It was a good learning . Points 2 and 3 makes me to think about them a lot before buying a real estate assest. Great to hear that , Is point 1 not a big issue for you ? My belief we are still a generation away from a similar housing bubble like US of A. So housing is a good investment if not sound. Word of caution probably mentioning a builders name with a video as a proof may land you in soup. Agreed . Can you comment on Mumbai real estate scenario and how much does these 3 points are valid for Mumbaikars ?